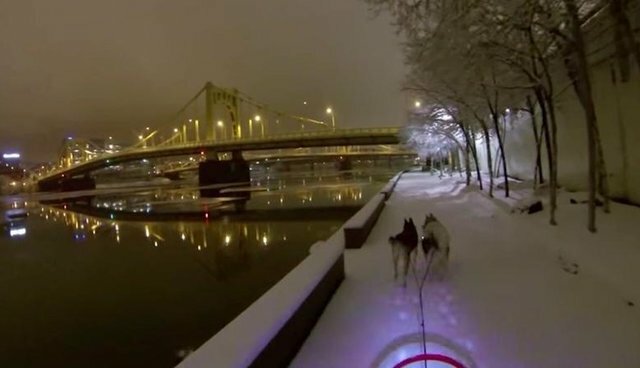 With no humans out on the snowy streets of Pittsburgh, Matthew Phillips decided to hitch his huskies to a little sled and go out for a magical nighttime ride. 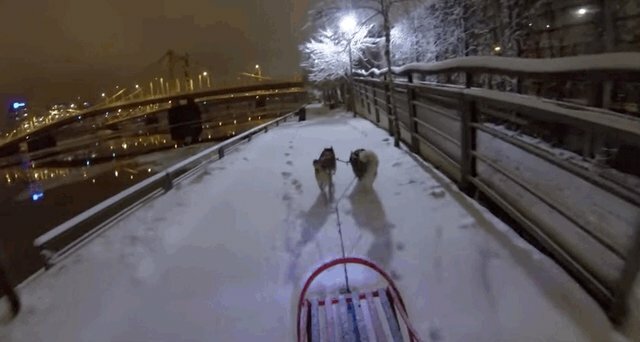 It's not often that urban dogs like these get a chance to flaunt their working abilities, and you can tell the dogs are just thrilled to go bounding through the empty city. The dogs take every turn like pros. 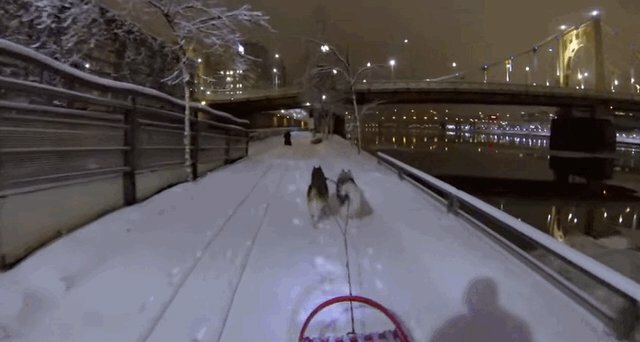 Those huskies might be the only ones hoping for even more snow this weekend so they can go out and do this again!